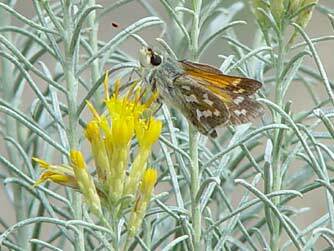 Juba skipper or Hesperia juba caterpillars feed on a variety of grasses including threadgrass, while the adult butterflies live on nectar from mint, rabbitbrush, and thistle among other flowers. 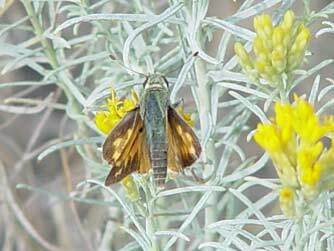 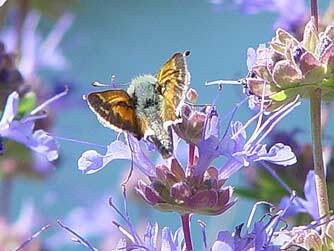 Jubas are largish, orange skippers with a wingspan of about an inch and a quarter. 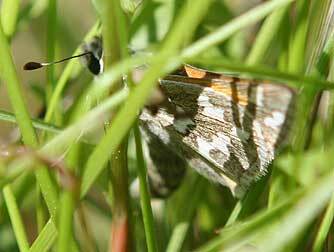 The upper wing surface of the forewing has a dark diagonal line staggering to the wingtip, and toothed black margins that point inward. 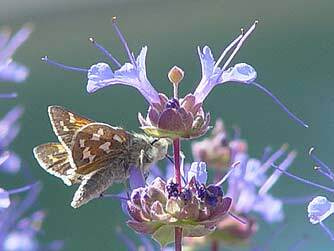 The hindwing on the underside has jagged white spots contrasting against a greenish, sooty background, with the submarginal band-spot closest to the abdomen being offset forward.